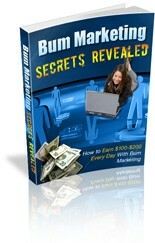 Discover How to Make $100 – $200 or More Each Day with “Bum Marketing”! 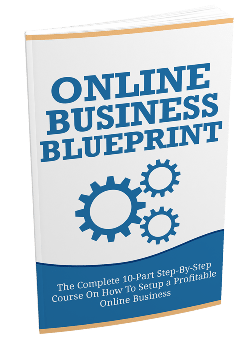 Ever wonder how all these internet gurus started their successful online businesses and curious how you can do the same? 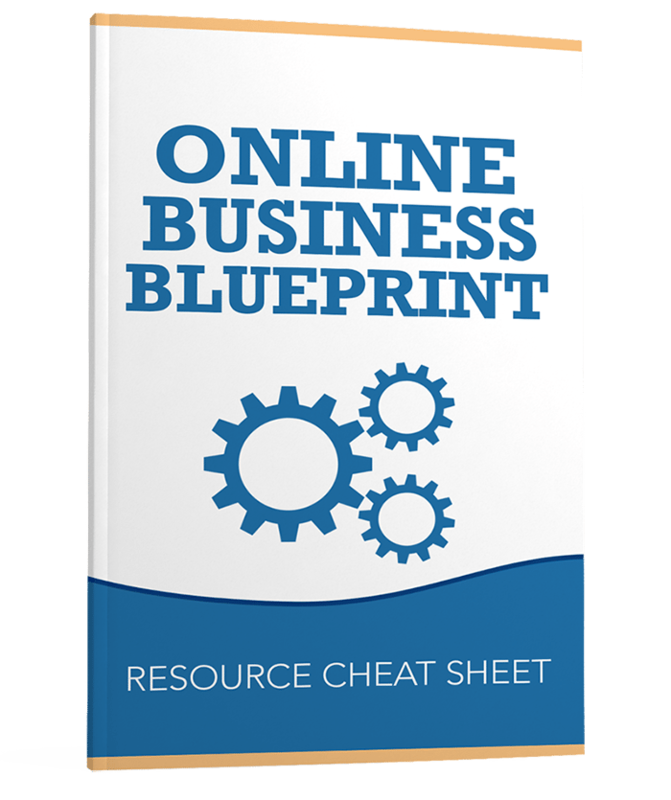 Online Business Blueprint is a 10-part course covering the essentials and advanced aspects of building an online business. Did I mention this eBook is only $3.00? It’s definitely a point worth repeating. You will be hard-pressed to find a more valuable resource. 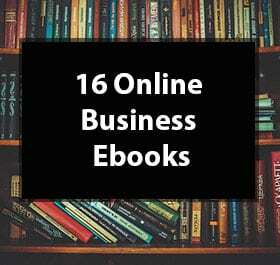 Get this pack of 16 Online Business Ebooks. 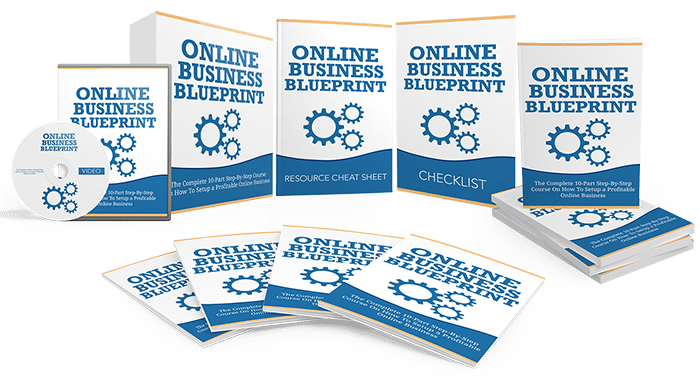 We are selling this pack of 16 Online Business Ebooks at wholesale. We are offering this pack for the lowest price on the internet. 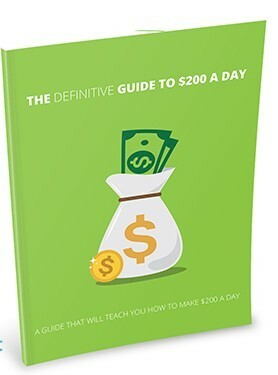 7 Ways to Make $700.00 in 7 Days. Combine all 7 Methods and That’s $4,900.00! A) I’m NOT Going to Over Hype This. B) I’m NOT Going to “Bribe” You. Yep, that’s right, I’m not going to bribe you with a bunch of bonuses or I’m going to give you nothing but SEVEN (7) purely Profitable ways to make $700.00 or more a week! C) I’m NOT Going to Show Proof. Yes, as shocking and weird as it may seem to read that, I won’t do it. I’m NOT going to Razzle Dazzle you with all types of insane screenshots or videos of my Clickbank, Paypal, 1ShoppingCart or Merchant account sales. Besides, even the most green of newbies realize that screenshots do nothing more than stroke the egos of both buyer and seller and help us dream bigger fantasies, right? So instead of giving you proof shots, I’ll give you 7 hot ways to make you $700.00 or more a week and you’ll love Every Single One of them. I WILL Give You 7 Ways to Make Big Money Online. Yes, Count Them – SEVEN Absolutely Perfect ways to make at least $700.00 in 7 Days ( I said at least, which means that you can possibly make even more). 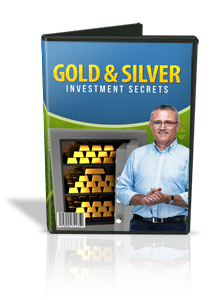 And what’s more important is that each of the methods that I reveal to you can be used over and over again to bring in thousands, tens or even hundreds of thousands of dollars or more over time. 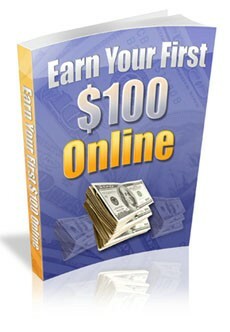 Think about it, 7 Ways to Make $700.00 in 7 Days! Each method has the so-real potential to evolve from mere revenue streams used to pay for luxury cars, pricey mortgages and lavish vacations to significant streams of income for your business, complete with repeat customers and a continuously growing “Profit Pond” that you can fish big fat checks from over and over again. It’s Also For The Newbie who may just be getting into Internet Marketing and is looking for real life, No B.S., Step-by-Step instructions on how to bring in enough money to live comfortably and prove to yourself that it CAN be done! Before I decided to release this report, I asked a few online marketers to take a look at it and give me their honest feedback. The reason why I did this is that I wanted to make sure that your “7 Ways to Make $700.00 in 7 Days” report was as good as it could possibly be, and it is. I received a ton of great testimonials for this report from them and will use just over 100 of them on the official site once it launches (and I also look forward to getting one from you after you read the report). When I first saw this report, I was a wee bit skeptical. After all, here he was talking about making $700 in 7 days, and I wondered if it was another quick-buck, flavor-of-the-month gimmick that would peter out in a very short time. But, when I started reading, I realized that James values the same business principles I do — that he strongly recommends building a solid business base. He then goes on to give a great overview of the different business models available in online marketing. This is the kind of guide I’d like to have looked through many years ago. This report give a extremely good coverage of many different ways to make money! These are definitely feasible techniques and no report I have seen so far covers all of these methods like this report does. This is definitely a MUST for newbies and a super refresher and hidden gem for season the marketer as well! This report really does live up to the title you have given to it. In fact, after reading it, I felt a great sense of urgency to go and follow your instructions right away so I can add another revenue stream to my business. I urge anyone who is reading this to just go ahead and get this report and get it with the intention of using it as soon as possibly can. It WILL benefit you and it DOES work. When I was asked to review this book I had no idea what I would be seeing. In other words I read this with a completely open mind. The first thing I would say is that the book is well thought out. What makes it different is that George doesn’t take the normal stance. He will give an example and then tell you what not to do with it, which is normally the advice given by many. He doesn’t just tell you what to do and what not to do, but gives the reasons for it. If anyone is starting out then they will learn a lot because they will get A lot of different ideas in one place. For some who have been using some of the ideas for some time, it will be worth reading because George will show you why that idea can’t be sustained and what to do in place of the old idea. Deal with the tenants and collect rent. Unless you don’t mind doing all this extra work, properties is a great investment vehicle but not necessarily a hands-free investment. You got to get your hands dirty and get things done. Should you just put your money in a fixed deposit? Is it not the best option out there as it gives a very low return and does you really want to keep all your savings in the bank after the major recession in the past few years? Gold is the only money that has never failed in the 5,000-year history of its use by humans. 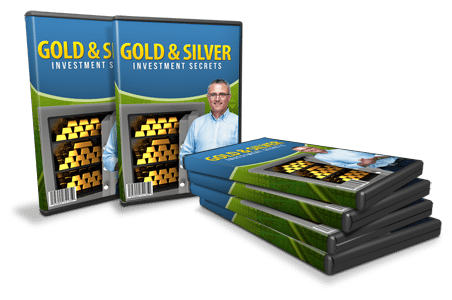 Introducing Gold & Silver Investment Secrets! If you’re just going to invest a small amount and hedge against inflation, you don’t really need to worry but if you’re going to dump in a hefty sum than you better do your homework and make sure you got all your angles covered. It’s better to be safe than sorry! These precious metals are limited resources and there’s only one way the price goes when it to the limited item, all the way to the TOP! Well, that’s what I wanted to know too, especially as I was on a budget and didn’t have much cash to hand, meanwhile they were doing all this for free. So I went around and bought courses, bought info products, bugged people in the know with all sorts of questions. They’d say to me, it’s easy. Go check out google (or yahoo, and what’s now known as Overture.com back in the day) and search for ‘Online Business’. Then all you have to do is find the people who are successful and e-mail them with your offer. Something wasn’t right here. What was it? Think about it for a moment. If these marketers are really selling thousands of their ‘How to Joint Venture’ products, then how many people are contacting everyone on the first 10 pages of these search engines! They must be getting hammered with e-mails. All of these list owners were replying to me with ‘Look, you have a good offer, but since these products started popping up telling people to just use search engines and contact the successful, I’ve been inundated with more offers than I could handle in a lifetime’. (Oh and trust me when I say that was one of the kinder responses stating the same point). These marketers may have used these tactics when they first started out, but it just didn’t work anymore. This method was saturated (and this was almost seven years ago) yet no one seems to correct themselves or come up with alternatives to such an outdated technique, and how can they afford not to when half a million or more circulation for a single product are at stake here? How To Find Real JV Prospects. We all know that a couple of simple ads here and there to large, well built, targeted lists can shove thousands, even tens of thousands of dollars into your pocket per mailing. We’ll show you step by step, exactly how we go about securing no less than twenty of these large scale joint ventures every single time we launch a product with very little effort, whilst others having trouble securing even one. An Almost Endless Supply of Prospects. Overcome the hassles and ethical issues of having to cold call and drop in on prospects unannounced, only to be told they don’t want to hear from you. There’s a little known back door that we’re sneaking through as you read this, pulling in scores of immensely profitable joint venture deals whilst the majority fight over the same 20 people. The one and the only way to quickly get in on the ground floor with big joint ventures, even if it’s your first day in online marketing. You may think you have nothing to offer in return for the circulation of your ad to tens of thousands of targeted buyers. You’d be wrong. Thankfully for us, only a few know of this powerful method, leaving you plenty of space to get in on this before the crowds flock to it. 12 Mistakes Of The Joint Venture Newbie. I’ll show you the exact reasons that joint venture newbies get denied over and over again when they could quite easily be circulating their products to many thousands, if only they knew what our decade + of experience tells us they were doing wrong. How to know before approaching anyone whether or not they’re going to accept your offer. Don’t waste your time by approaching people that have no interest in your deal. We have devised 7 easy to replicate methods over the years that will allow you to judge immediately whether your prospect is going to accept you or not. How to build and use a powerful information network. The future is always bright for your business’ profits when you have a group of thirty or forty people with these valuable lists ready to promote for you on the launch of each of your products. What’s more, they’re easy to find. We’ll show you exactly where. (Best of all this only takes ten minutes to do). Imagine the profits at having that type of promotion power at your disposal. It’s all yours, right here. 5 ways to increase your acceptance rates by 85%. Tailor your deal to your joint venture prospect and start seeing your ad sent to more of these hugely profitable targeted lists every single time you launch a new product. It’s easy to hit the magic 85% mark if you have the right information. We’ll show you how to get it for free in a mere three minutes of your valuable time. Learn to spot what your potential jv partner wants from your deal before you even meet. Imagine being able to present your prospect with everything they wanted as soon as you make first contact. Your response rates and acceptance rates will go through the roof, not to mention they’ll start talking about you to their contacts, and we all know how powerful word of mouth is. 2 techniques to ensure that the joint ventures you make today, will be open to you every single time you launch a new product. Imagine succeeding in gaining just five separate joint ventures, each list containing 20,000+ hungry customers ready to buy your products. That’s a real money maker, but it gets unimaginably profitable when you add another five of these lists every single time you launch a new product. We’re doing that right now, as you read this, and we’ll show you how. 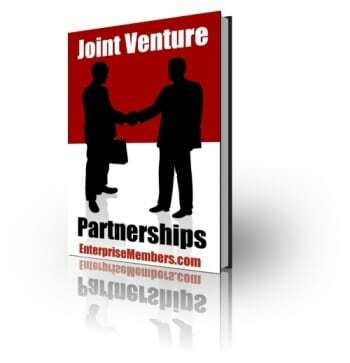 Learn the why’s of Joint Venturing. It’s time to stop buying products that only tell you how to do stuff that becomes useless when everything changes in a few months time. It’s a waste of your time and money. This guide, however, will show you why everything works, be benefiting you not just on the first read, but for life; be allowing you to adapt to business situations that we all know change very rapidly. 2 JV Approach Methods That Almost Guarantee You’ll Be Seen. Being noticed instead of thrown in the trash on first contact could mean the difference between 30,000 circulations for the launch of your products, and going home with nothing. Picture the sales of your products if you successfully made just ten of these deals. Learn to see how your offer looks from the perspective of your JV target before you’ve even contacted them. If you know what they want before you contact them, not only are they going to wonder how you managed it, but they’re going to sit up and listen, increasing your chances of an all important sealed deal. 5 ways you know if you’re going to be accepted before you even make the first contact. Most marketers I meet are wasting time trying to complete joint venture deals with specific people at specific times. Are you? Show me the deal, show me the target, and I can tell you within 2 minutes with a 95% rate of accuracy whether you’ll get a yes, or a no. I’ll show you exactly how I do this, and how you can put it to good use too. Learn to spot the best moment to send your joint venture prospect an offer.There are a time and a place for everything. JV’s are no exception. Did you know, there are specific signals that you are receiving from your potential prospects that should immediately tell you when the best time to approach them is, maximizing your chances of success. Can you see these signals? If not, I’ll point them out to you so that you can start taking advantage of them right away. Why you’re ruining your chances of acceptance when including your product as part of a JV deal. 9 out of 10 JV offers I receive include products and services that mean nothing to me. This also means instant denial. I’ll show you how to avoid this with some quick and smart thinking. One sneaky little trick that will get your joint venture prospect talking to their contacts about you, even if they refuse your deal. Think about it. If your prospect has lists or resources reaching into the multiple thousands, it’s highly likely their contacts will too. It’s easy to get your name spread through word of mouth when you know how. We’ll show you how. Full start to finish tried and tested joint venture templates. Proven methods of the successful joint venture. From your introduction and getting noticed, to your follow-up and securing your future and everything in between. We’ve done it hundreds of times, and to save you the hassle, the expense and the let downs of trial and error, we’re going to show you what works, and what doesn’t right off the bat. 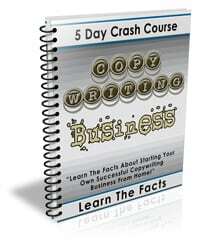 Inside The Copywriting Business Five-Day Crash Course, you will learn the basic information that you need to know to decide if starting a copywriting business from home is the right choice for you. You’ll also discover some of the simple steps that you can take to get started right away! Inside every lesson of the “Copywriting Business” Crash Course, you’ll learn valuable information that will show you how to employ simple techniques that will help you build your own successful copywriting business from home! The ins and outs of starting your own copywriting business from home along with some of the basic aspects of getting set up and attracting clients. Some simple tips and techniques that you can use to improve your copywriting skills on a regular basis. How to develop a professional looking portfolio for your copywriting services even if you are just getting started. Some of the basic steps you need to take to create a professional looking copywriting website that will help you attract potential clients. How to evaluate and set effective price points for your copywriting services. And that’s just the beginning. Once you sign up for the “Copywriting Business” Crash Course you will have access to great information in every lesson that will give you a better understanding of how to start your own successful copywriting business from home. you’ll start receiving your crash course lessons right away! Discover 20 Online Business Ideas You Can Start Today So You Can Have The Freedom To Work Anywhere. Create an online business that you love and work from home. Without an idea, there is no chance to start your own online business. With tons of entrepreneurs out there this first step is one of the hardest challenges, where you might find yourself wandering around the web to get your creative juices flowing. 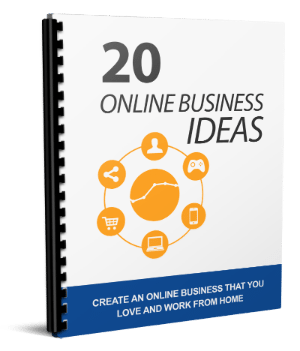 Don’t look any further, as we put together a list of 20 online business ideas which you can start tomorrow. Obviously, there is a need for tremendous preparation and research, but hopefully, this list can get you started.